The greenery of leaves, the red – yellow tinge of the sky during sunset, the blue waters of the vast seas and the colorful flowers fill our sight with so many colors. It’s time that our colorful world gets more vivid colors with the onset of spring. The festival of colors, Holi is on 23rd March 2016 and its time that we get geared up for all the fun and joy. 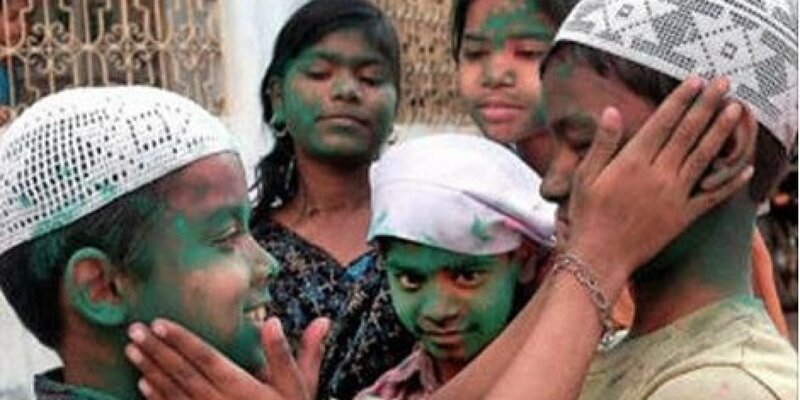 Holi is celebrated all throughout India and even in some places outside the country. The festival represents the victory of good over evil and is celebrated differently in different places. Hiranyakashyap was the king of Multan in Punjab. He had a boon to be indestructible by everything which made him arrogant. He considered himself to be God and forced the people to worship him. Holika was his evil sister. King Hiranyakashyap’s son Prahlada disagreed to consider his father as the God and worshipped Lord Vishnu. This enraged the King and he punished Prahlada to make him cater to his demands. One day, Holika tricked Prahlada to sit on a pyre with her. She had worn a cloak that would prevent the fire from burning her but Prahlada was not. The pyre was lit up and before the enraging flames would harm the little Prahlada, the cloak flew from Holika and covered him. 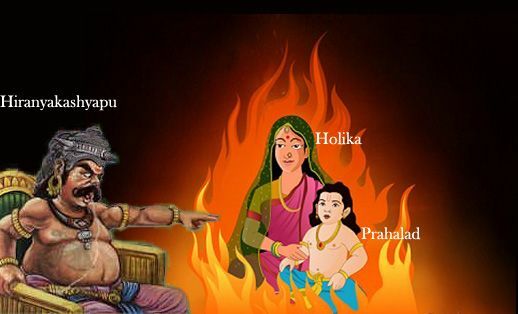 Hence, Holika burned to death and Prahlada remained unaffected. This symbolized the victory of good over the evil. After the pyre cooled down, people applied the ash on their foreheads as a celebration of the event. It was later replaced by the colored powder. Little Krishna would always get despaired that Radha and other girls would not like him because of the dark color of his skin. To cheer him up, Krishna’s mother asks him to color Radha in any color he wishes. 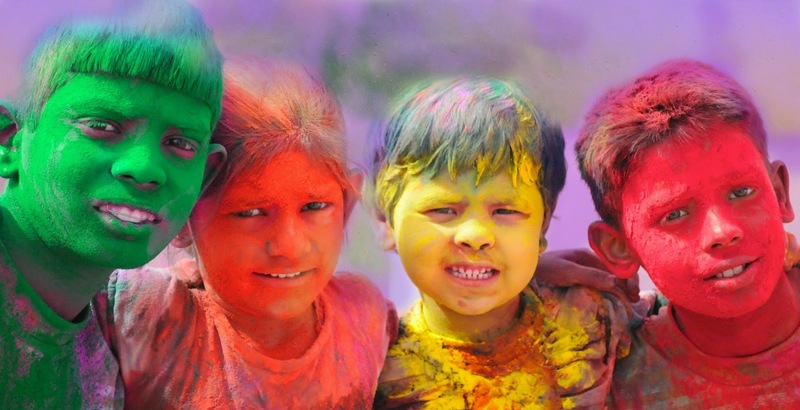 This event leads to the celebration of Holi where the boys playfully color girls as a symbolic representation of the love between Krishna and Radha. – Holi is also considered by some as the start of spring. It marks as the beginning of a new year. It is also celebrated to account for the good harvest. – It is also marked as a festival where people forget all rivalries and start a healthy relationship with everyone. 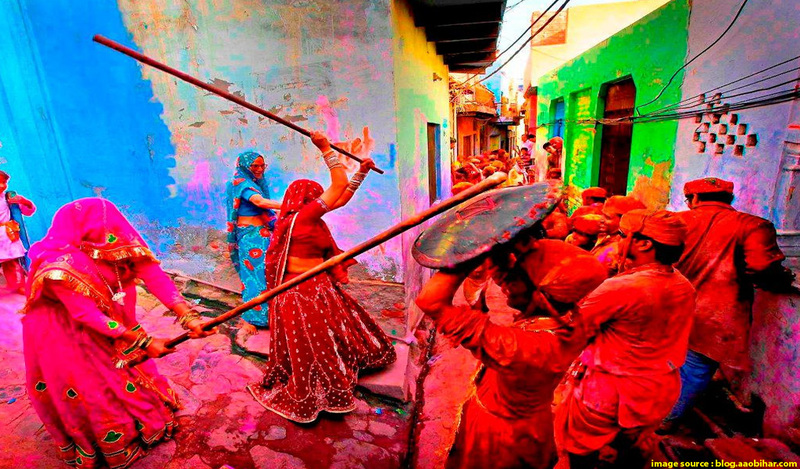 Gujrat – Holi is celebrated in Gujrat as a two – day festival. The festival starts on the evening of the first day with the lighting up of a bonfire as a symbol of Holi Dahan. 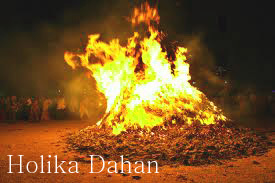 Holi Dahan symbolizes the burning of Holika. Raw coconut, corn and other things are thrown into the fire. On the second day, people color each other using dry color powder and colored solutions. Pots of buttermilk are tied high in the streets and boys try to reach them by making human pyramids. The girls try to stop them by throwing colored water at them. In Dwarkadheesh temple, special celebrations are held on the eve of Holi. It also marks the start of the season for rabi crops. Uttar Pradesh – In the compound of Radha Rani temple of Barsana near Mathura, Lath Mar Holi is celebrated. In this tradition, women playfully beat up the men using long staves called Lathis and the men protect themselves with shields. 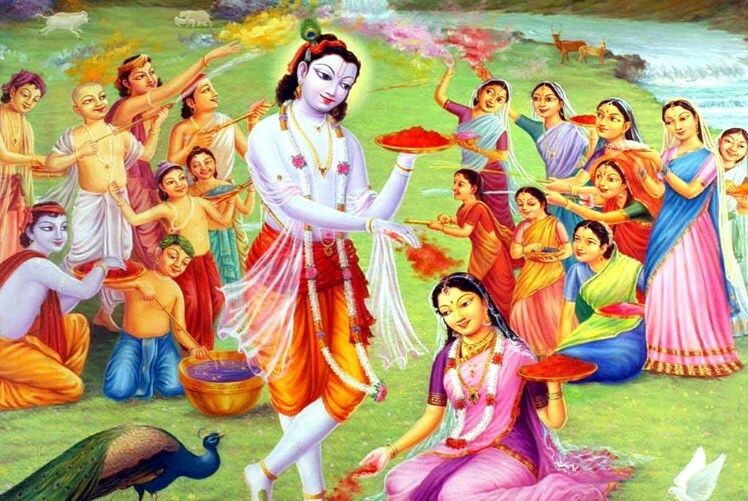 In Vrindavan, the day of Holi is celebrated with a special puja and a worship of Lord Krishna. The whole celebration of the festival lasts for sixteen days. In Kanpur, the festival lasts for seven days. The last day is celebrated as the “Ganga Mela” which is a holiday in the state. In Gorakhpur, Holi day begins with a special puja. It is followed up by visiting friends and relatives known as “Holi Milan”. Uttarakhand – Holi is celebrated here as “Kumaoni Holi” where music gatherings are held to celebrate the festival. The pyre to be lighted for the festival, known as “Cheer” is set up fifteen days before the festival with the green Paiya tree branch in the middle and is guarded by the people until the festival. Bihar – Holi is known as “Phaguwa” here. Bonfires are lit on the occasion of Phalgun Poornima. Dried cow dung cakes, wood, grains from fresh harvest and dry leaves are put into the bonfire and people gather around it. The next morning is celebrated with colors and “Holi Milan”. 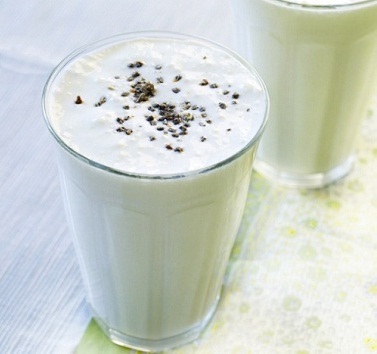 It is also accompanied by consuming Bhaang (made from Cannabis, milk and spices), pakoras and thandai. Bengal – Holi is known as “Dolu Jatra” or “Dolu Poornima” here. On the day of Holi, people wear saffron colored or white clothes along with garlands of flowers and sing and dance. A decorated palanquin with the idols of Krishna and Radha is carried throughout the city. 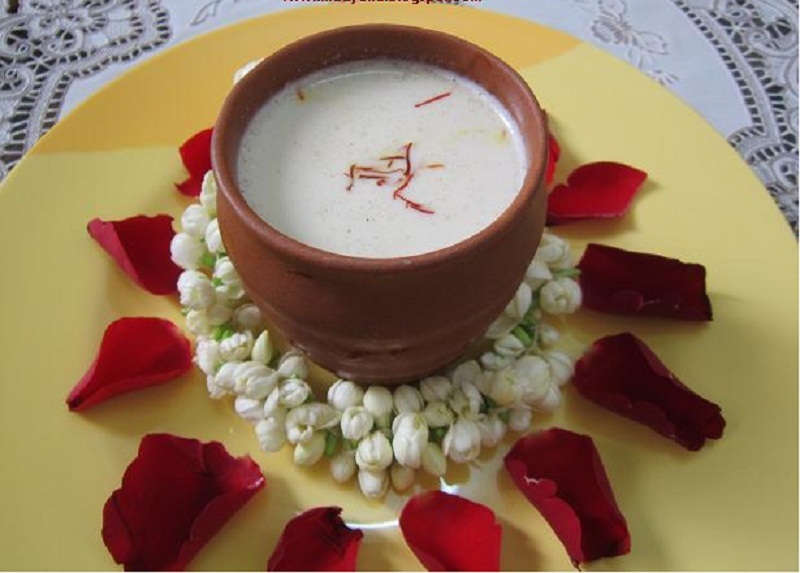 Fast is observed with a special puja after which traditional delicacies such as malpua, kheer, sandesh, saffron milk, payash and so on are prepared. – Maharashtra – Holi celebrations are carried out for five to seven days. A week before the festival, youngsters collect wood and money from neighborhoods. On the day of the festival, a bonfire is lit up and people from every household offer specially prepared dishes to the fire. This day is called as “Shimga”. On the day of Rangapanchami, people celebrate with colors. – Karnataka – In rural Karnataka, wood and money are collected from all households. On the night of “Kamadahana”, all the wood is put together and a pyre is lit up. In Sirsi, the festival celebrations are started five days before the Holi day. 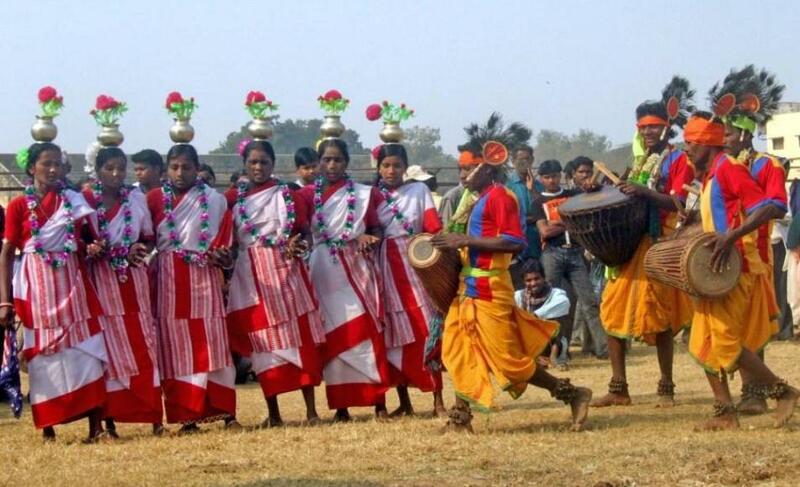 Every alternate year, grand celebrations are held along with a unique folk dance called as “Bedara Vesha”. 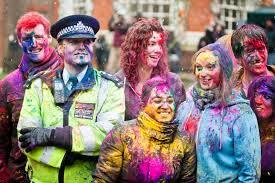 Not only in India, Holi is celebrated worldwide by the Indians spread all over in many forms. Some of the places where prominent celebrations of the Holi festival take place are Suriname, Trinidad, Tobagu, Guyana, Fiji, Mauritius, Pakistan and few others. 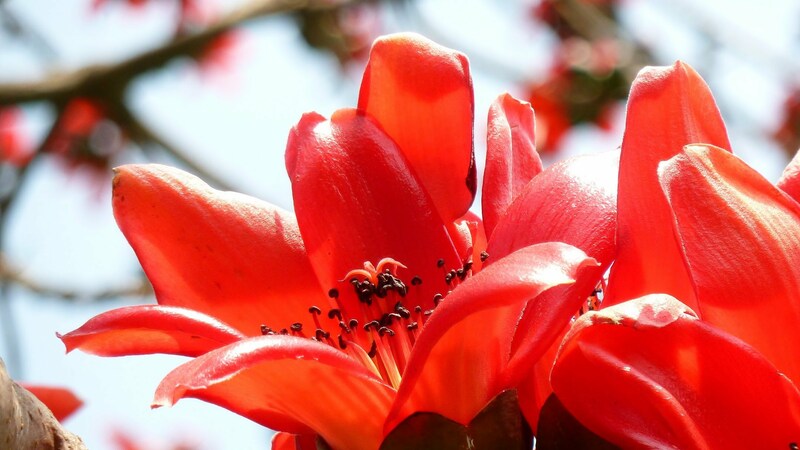 – Red or Orange – Flowers of the Palash tree, also known as the flame of the forest, can be powdered to obtain red or orange colors. Apart from this, dried hibiscus flowers, powdered sandalwood, madder tree, radish and pomegranate also give red colored powder. Orange color can be obtained by mixing lime with turmeric or boiling saffron in water. – Yellow – Haldi powder can be used as yellow color. It is also mixed with gram or other flour to get different shades. Species of marigold and chrysanthemums can also be used as a source of yellow color. 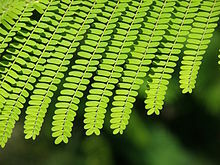 – Green – Mehndi or dried gulmohar leaves can be used to make green color. 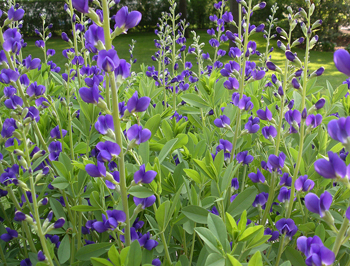 Leaves of some crops or herbs can also be used as a source of green color. 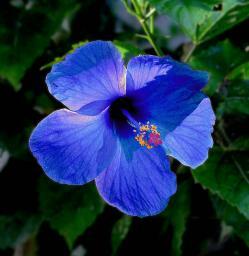 – Blue – Blue color can naturally be obtained from Indigo, Indian berries, grapes, blue hibiscus and jacaranda flowers. – Magenta – Beetroot is a source of magenta color. – Brown – Tea decoction can be used as brown colored water. Clay dissolved in water also gives brown color. – Black – Black grapes, amla or vegetable charcoal gives a black color.